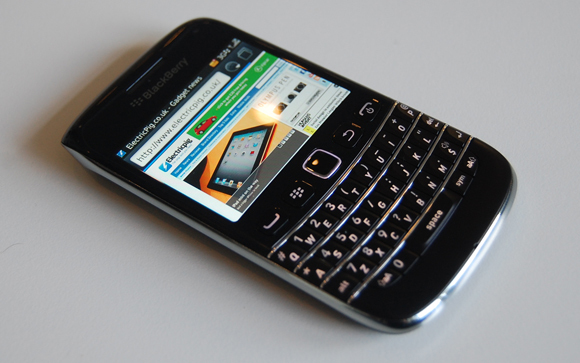 The BlackBerry Bold 9790 is one more addition to the series launched by smart phones RIM in recent times. The 9790 edition of the phone is unique in itself because of being hybrid itself. No doubt, it is an expensive phone; however, its SIM free edition comes around in the price range of 350 pounds sterling. The 9790’s come in the same price range as similar to the high-end Android phones that even includes the most popular Samsung Galaxy S2 and the HTC Sensation XE. The touch screen of this phone comes with rather a menu of extra options. It has a touch friendly menu instead of off thumbed BlackBerry key. The OS of the device is an admixture of an era of keyboards and cursors and not supports the RIMs efforts to make it more touch and user friendly phone. The Bold 9790 has 2.45-inch capacitive touchscreen with a resolution of 480x360 pixels at 246 pixels per inch -- a throwback to 2010's Bold 9780, which sported the same resolution and screen size. It is comparatively smaller. The 9790 has a mini Post-it note-sized screen. The Bold 9790 has good messaging features and is made with a suitability factor for Gmail, Yahoo mail and Hotmail. There's also BlackBerry Messenger (BBM) and texting, Twitter and Facebook apps, which helps to integrate with social networks and provide rather good notifications to the phone. The 9790 has a 1GHz chip that makes the OS fast and responsive to act fast on commands. The full website opens slower on its native browser. Though scrolling and zooming is bit fast accommodate through the fluidity and speed. There is no support for online videos in Form of Adobe Flash that is not available with the device. Battery performance is satisfactory. The 9790's camera is 5 megapixels, that is too less for an expensive phone like this. Both the Samsung Galaxy S2 and the Apple iPhone 4S provide 8 megapixels. It even not fits for mobile media as it is not much connected t to the Apple's iOS plus iTunes. The video app only take towards to 'Explore video apps' on BlackBerry App World, that relates to YouTube 'mobile reader' apps.